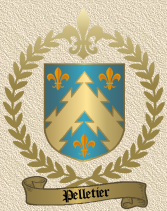 Acadian Genealogy Homepage; Acadian and French-Canadian Family Crests [Michaud to Prince Surnames]. Click here to View Humourous Genealogy Product/Gift Ideas! 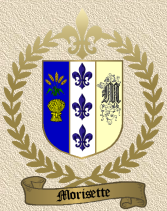 Over the years, I have gathered samples of many Acadian-Cajun/French-Canadian Family Crests however, unfortunately the quality of these crests was usually quite poor. 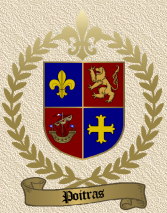 A very good genealogist-friend (and professional graphic artist), agreed to develop the following Acadian-Cajun and French-Candian crests as well as a "generic" Acadian Crest, on my behalf. He is one talented dude, as you can see below, but please don't lose sight of the fact that, frankly, not too many Acadians are descendants of royalty however, it's nice to think we might be! The Acadian-Cajun & French-Canadian Online Boutique now features crested products ranging from messenger bags, to house wares, to appeal young and old. Choose from a large selection of gifts such as t-shirts, mugs, hat and so much more! 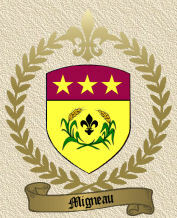 Eventually, products will be available for all crests posted here however, if your own crest appears here, but is not yet featured on products at the Boutique, just email me your request. 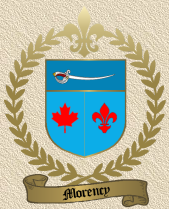 And, in the event you'd like to see a customized/personalized crest in lieu of the Acadian "generic" crest, just send your detailed request. 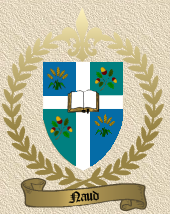 Please Note: ALL Family Crests on this site are COPYRIGHT and may not be used or reproduced, without the expressed/written consent of the undersigned. PERSONALIZED license plate frames. A real roadside attraction, get your driver's attitude or cause across on this cool License Plate Frame. Constructed of sturdy, durable, shiny chrome that makes your message POP. 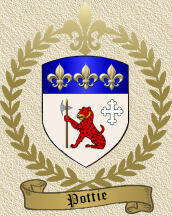 Acadian-Cajun images are applied with a permanent adhesive weatherproof decal. UV and water-resistant. Fits most cars. 12" x 6" Enhance the message of your vanity plate. * Measures 12" x 6"
Click here to see sample... and email me if you have a specific text you would like to get included. There is no extra charge for this service. 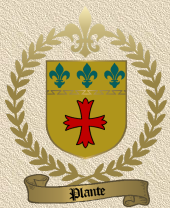 Disclaimer: I am not aware of many Acadians who descend from nobility [Cot(t)reau, D'entremont and LeBlanc come to mind] and therefore you should understand that many Coats-of-Arm are created for family reunions etc. and as such, are not necessarily 'Royalty-authentic'. 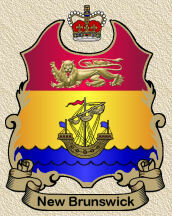 Coats-of-Arm belong only to the "person" issued that insignia and in some cases to the direct male heir apparent or male descendent of that person. No other person can rightfully claim ownership or use of that insignia. 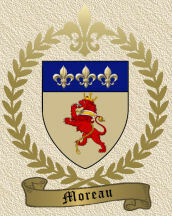 Authentic family crests are issued by persons of authority, usually nobility, to a specific person... not a "family". 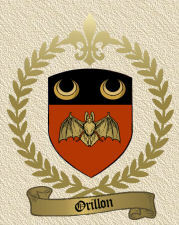 And incidentally, while I've taken every precaution to ensure accuracy, there's always a possibility I may have made an error naming a family crest. If you find any errors, please let me know. That aside, they DO make a nice conversation piece... at least the one on my office wall, does!